We did this tour through Rome in Limo. 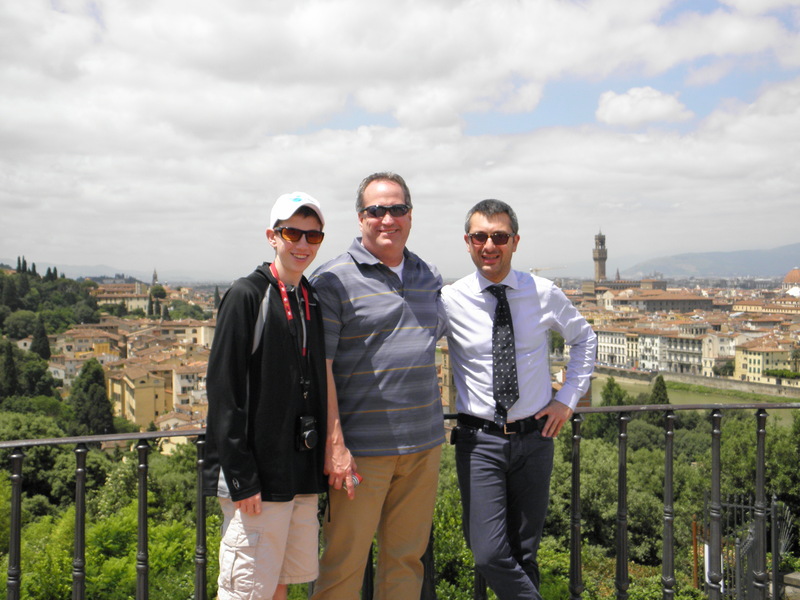 Our driver Giovanni was fabulous and gave us a great lesson in Italian driving. The drive was very long, however. It was about 2 hours each way. Needless to say, we dozed off a few times along the way. 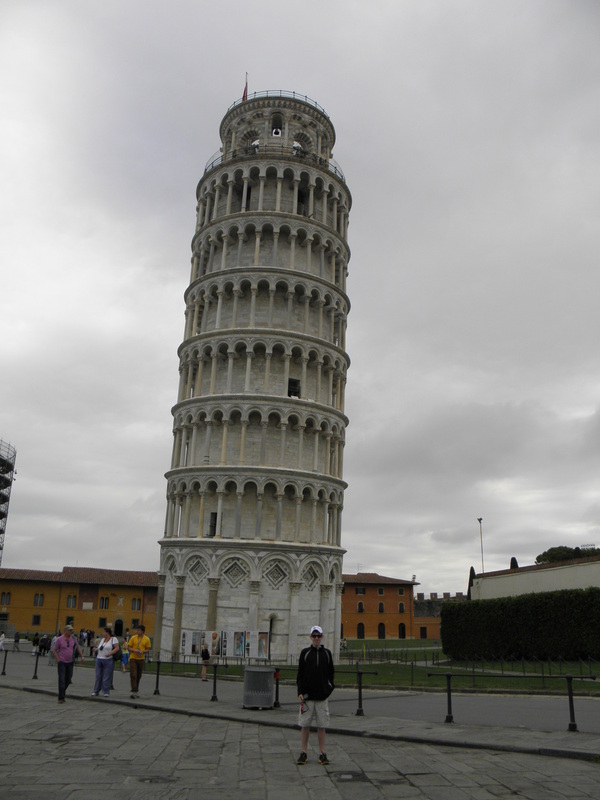 Our first stop was Pisa. Because we had a private driver, we were able to arrive ahead of the tour groups. 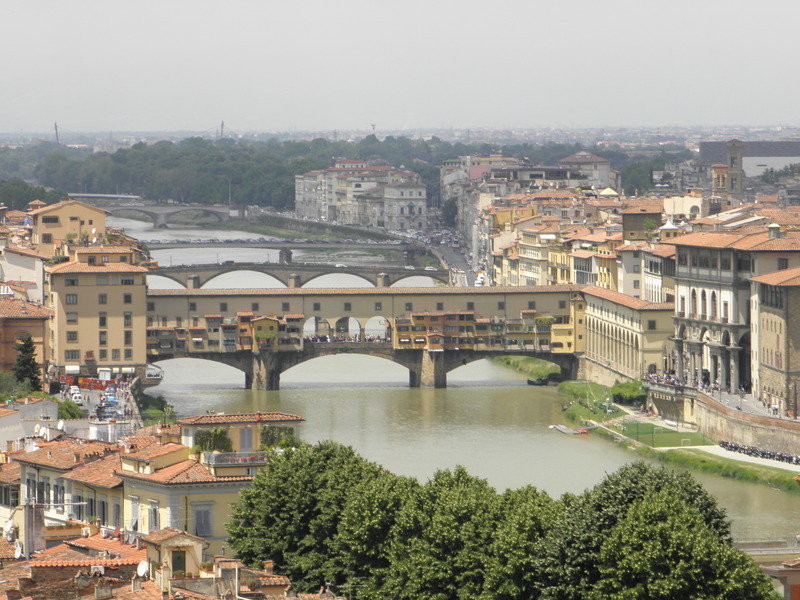 We were then off to Florence. Giovanni made sure that he arranged our lunch at a restaurant where Tom could get his pizza fix. When we pulled up the restaurant, it was packed. Guiliano assured us we would be in and out in 20-30 minutes. 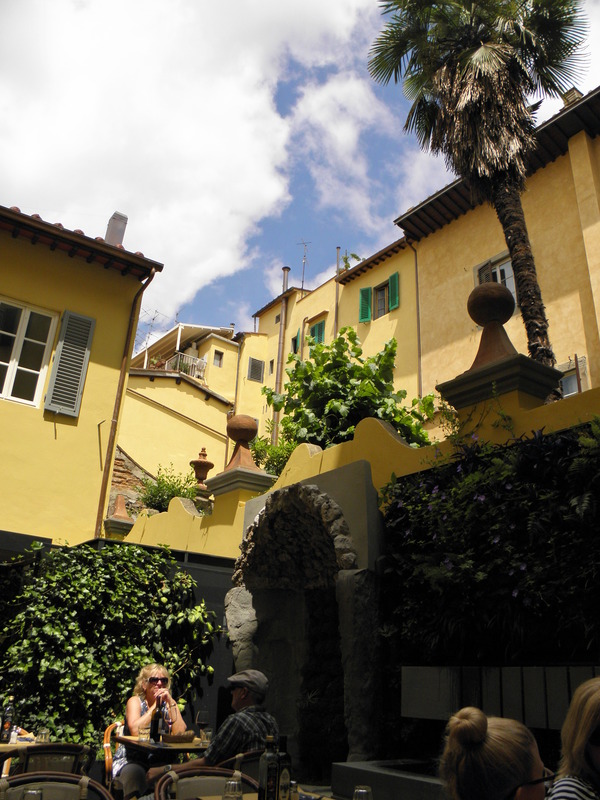 Sure enough, we were escorted through the restaurant and kitchen to a beautiful courtyard where we had the best pizza. Lovely. 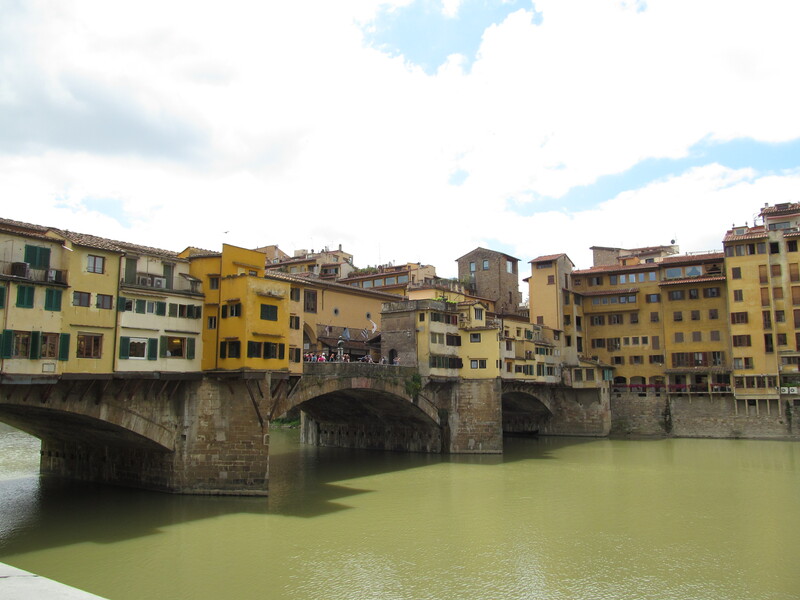 We took time to walk along the Ponte Vecchio, which was rebuilt in 1345. It is filled with shops and was packed with people. If we visit Florence again, I would definitely try and get there earlier in the morning to try and avoid some of the crowds. 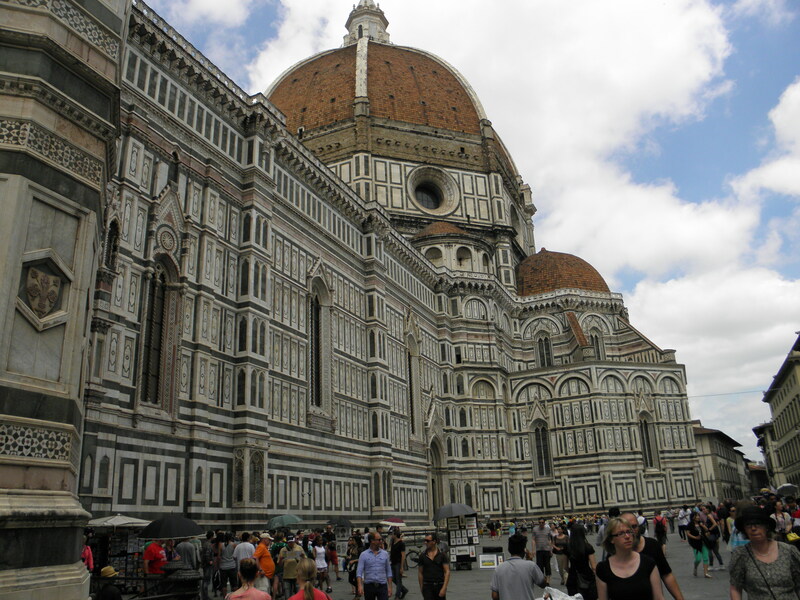 Basilica di Santa Maria del Fiore, which is the main church in Florence. 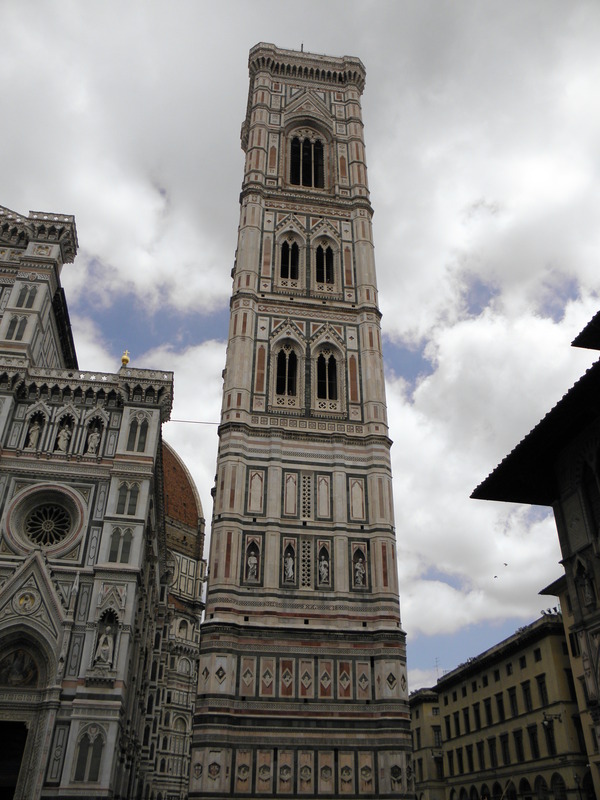 The building started in 1296 and was completed in 1436. The exterior is green, pink and white marble. Absolutely gorgeous. Giovanni drove us to a scenic location that had the perfect view of the city. He whisked us down a narrow street and pointed to a small door and told us to stand in line. It was actually the Galleria Dell Accademia where we were able to see Michelangelo’s David. We had a brief wait and Giovanni got us in right away. Before heading back to the ship, we had a gelato stop.